A wolf hybrid, also known as a wolf hybrid, is simply a dog that has pure wolf in its ancestry. While, we all know that all dog breeds have descended from the wolf, a wolf hybrid has wolf in its recent ancestry (like a parent, grandparent, or great grandparent). The difference is that the common house dog’s pure wolf ancestry is found hundreds of generations back. However it is interesting to note that, in a recent wolf dog ancestry, hybrid wolf puppies look somewhat similar to pure-bred wolf puppies. Wolf Puppies – What Are Wolf Hybrids? Genetically, the dog and the wolf are the same species; the difference is the degree of domestication. In human terms, dogs and wolves are no different from each other than someone with Asian decent and someone with African descent. 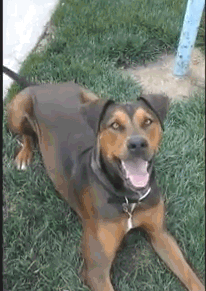 Therefore, it is very possible for a dog and a wolf to mate and create produce offspring. The offspring will have characteristics of both but in varying proportions. Today’s wolfdogs are not the results of a wild wolf being bred with a domestic dog; they are usually the result of dozens of generations of wolfdogs being bred with other wolfdogs. 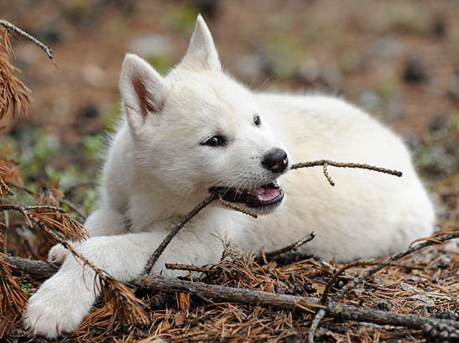 Are you interested in the purchase of hybrid wolf puppies? There are many adoption sites online, as well as many private breeders that offer these pups for sale for approximately $700. It is not uncommon to find them at price ranges of $1500 or more. Just a search on Google should list many of them. Wolfdogs act like the wolf and the breed of the dog they are mixed with and they have a life span that ranges from 10-16 years. Their wolvish sides tend to be shy with strangers, curious, intelligent, playful, energetic, and watchful. They can also be loving, independent, aloof, stubborn, and loyal to their “pack”, Their domesticated dog side will reflect the behavior of that breed. In other words, every wolf hybrid is different. Even wolf dogs from the same litter can look and act differently. In addition, behavior is very dependent on the level of the content of wolf the hybrid has. For example, wolfdogs with low content will act more like a domesticated dog. 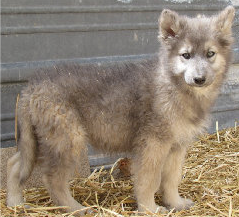 In order to domesticate them properly, wolf dog pups should be bottle raised from a very young age. If the adult animals are allowed to raise the pups, there is a possibility that they might grow up afraid of people. This process should be started when the pups are only a couple of weeks old because the critical period for socialization closes within three weeks. 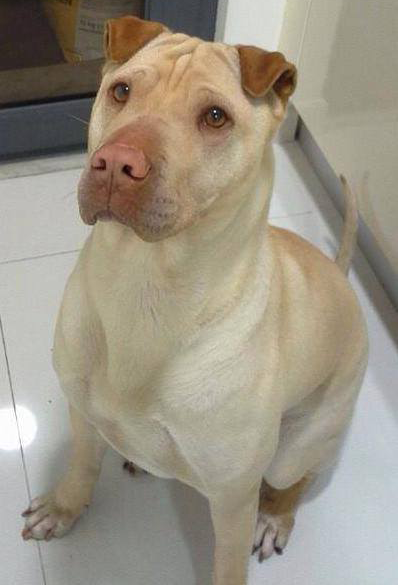 Pups that have not been separated (but not completely) from their parents by that age will be hard to train. Hand raising your wolfdog pup has many benefits; one of which is the ability to provide the animal with stress free medical care. This might not be needed often, however, wolf hybrids are relatively healthy animals and have fewer inherited diseases than other breeds. The best way to keep your dog healthy is with a good diet and plenty of exercise. It is important to note, that wolfdogs may have sensitivity issues to some types of commercial dog foods. For example, soy and corn are not their friends, so be sure to avoid these ingredients. 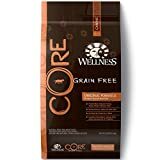 A good grain free kibble such as Wellness CORE would be the ideal choice for wolf hybrids. In addition, wolf hybrids have special needs when it comes to their protein intake. Therefore, it is best to supplement their kibble diet with lots of extra protein in between feeding’s. Raw meats are suggested by many breeders and experts alike. The higher the content of wolf in your wolfdog, the hard they are to train and keep as pets. If you are determined to house train your wolf hybrid, you will need a lot of patience; they are more difficult to train than the regular domesticated breeds. Thankfully, wolf dog mixed breeds can be crated; this will make it WAY easier to house train your pet. However, it is important to note, that they will still need a lot of outdoor space and adequate amounts of attention. Wolfdogs are considered to be a mixed breed of dogs and still isn’t registered in any official kennel clubs. Wolfdogs are beautiful creatures and, for the right owner, make a loyal companion. Before you decide to purchase hybrid wolf puppies, be sure to perform detailed research to ensure this is the right pet for you.